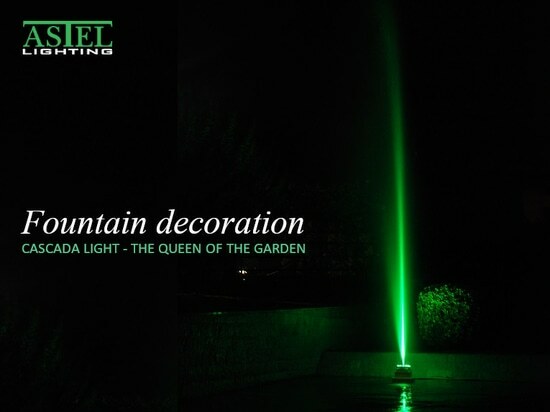 News & Trends> Product Trends > Lighting > ASTEL LIGHTING > Need an Underwater Pool LED Light? 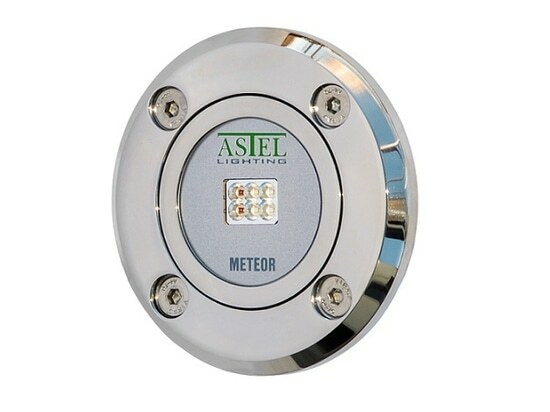 Here is the new METEOR! 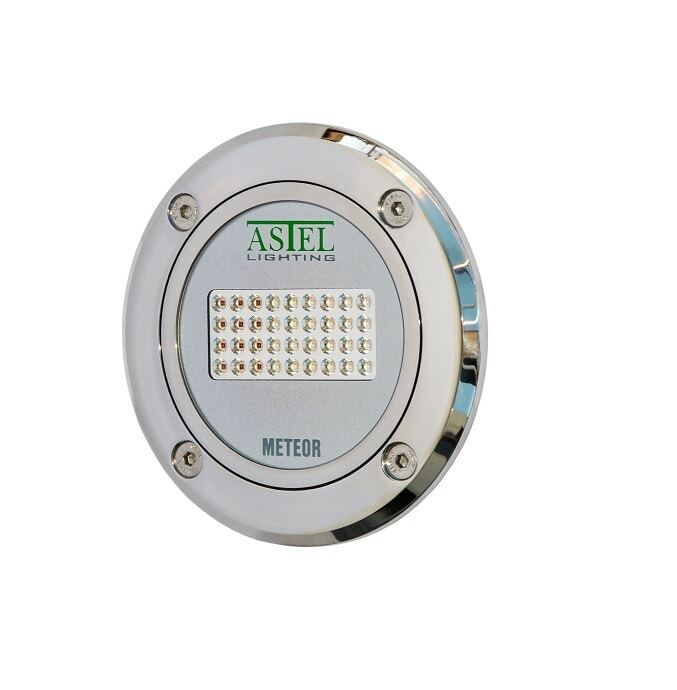 Need an Underwater Pool LED Light? 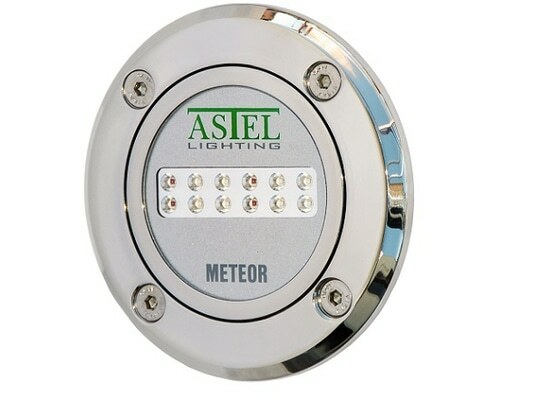 Here is the new METEOR! 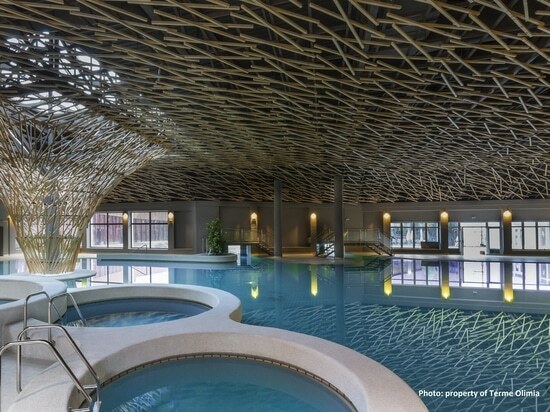 The product can be installed on a flat surface without any surface preparation during construction. 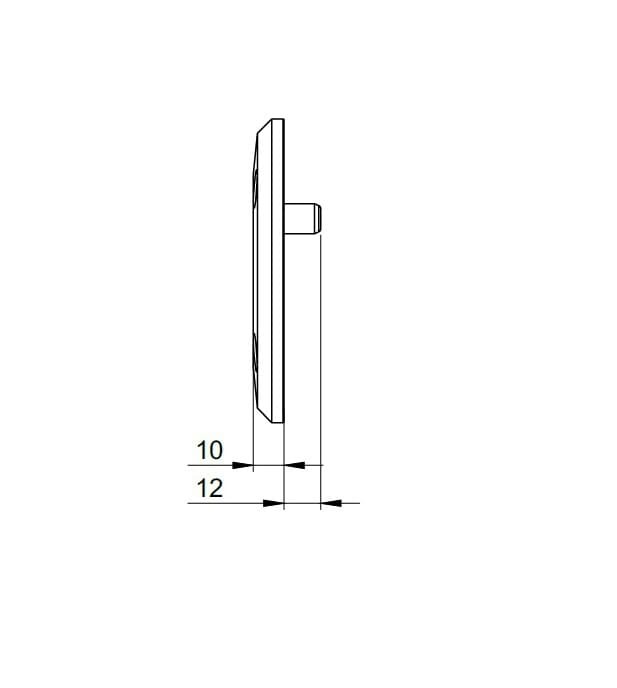 The thickness of lights is of only 10 mm. 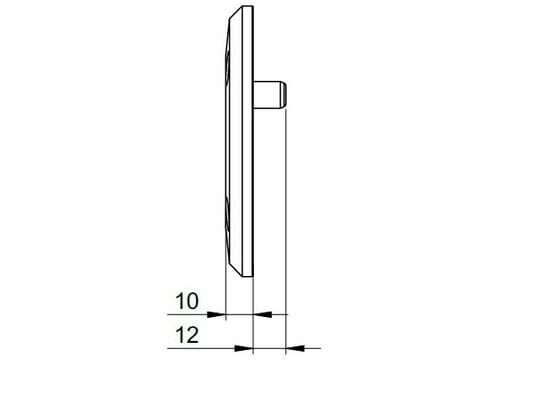 For other installations and replacements special adapters are available. 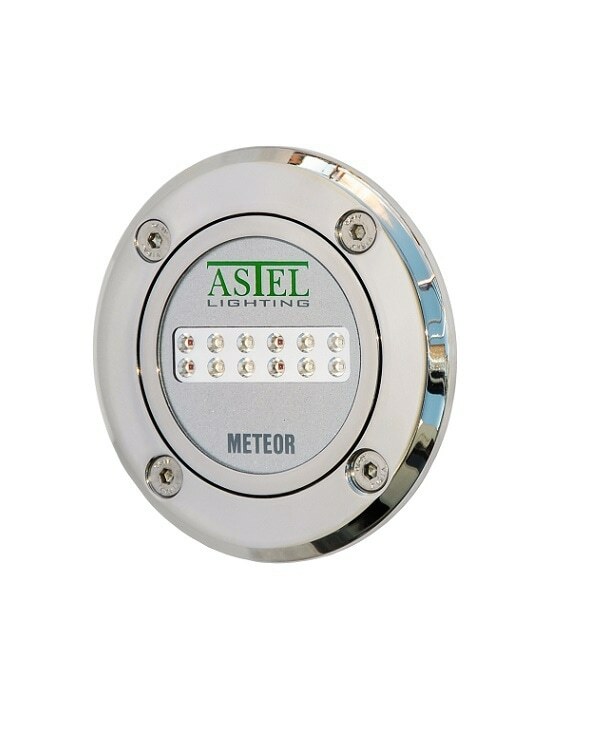 METEOR lights can be installed on concrete pools, polyester pools, liner pools, stainless steel pools etc or also used as a replacement for all the lights of any other producer. 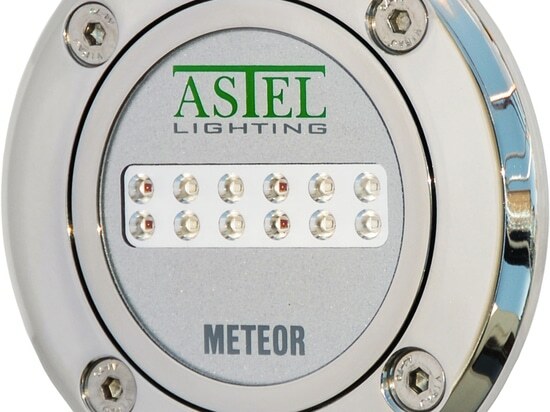 The multi-color versions of METEOR series allows changing the color of lighting manually or automatically through the complete rainbow spectrum. 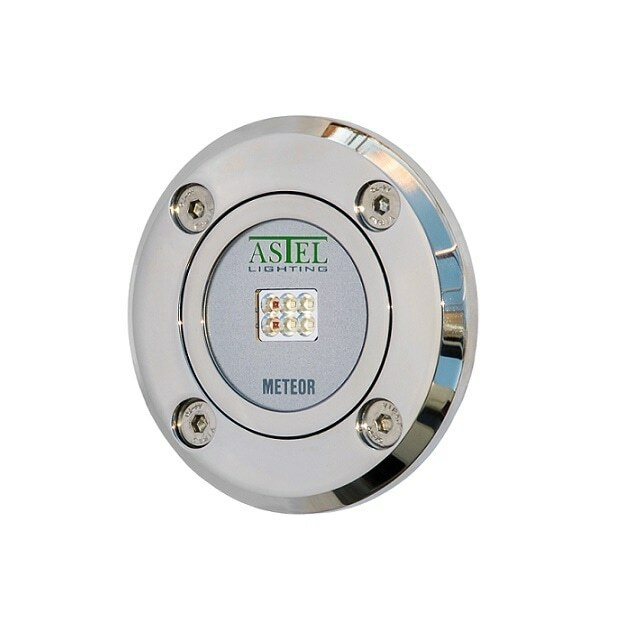 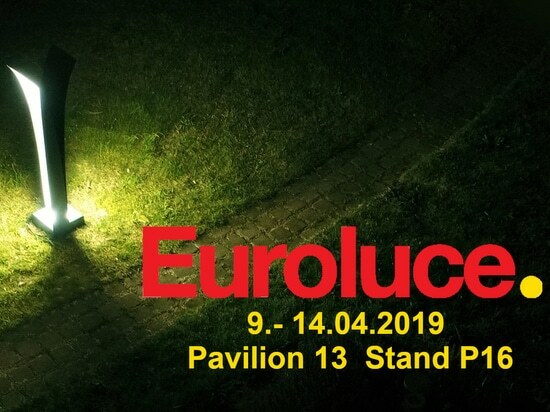 The most advanced electronic design with built-in microprocessor enables network connection and simple control of complete group of lights with dimming. 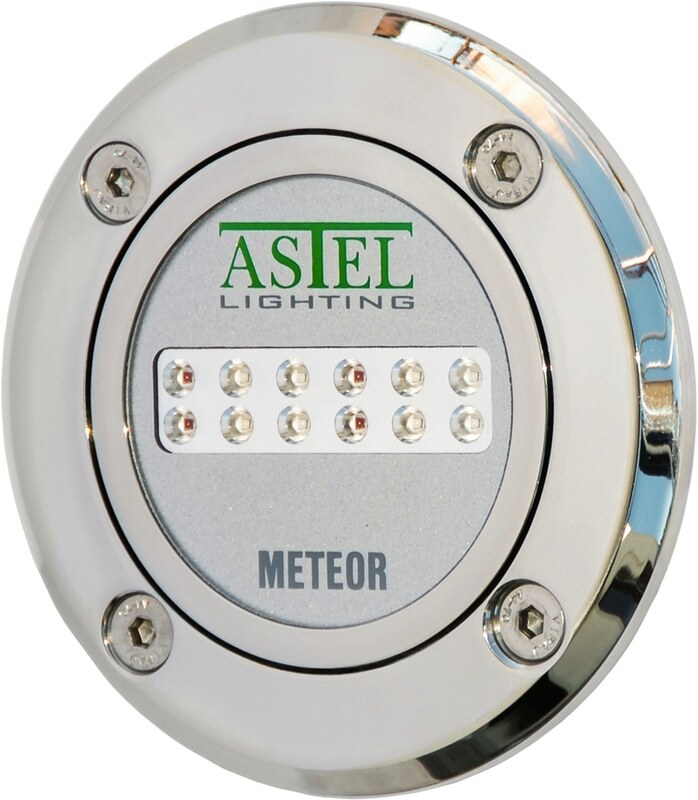 All the models are available in a stainless steel (SAE316L) casing with 6, 12 or 36 LEDs with the luminous flux from 950lm to 8300lm. 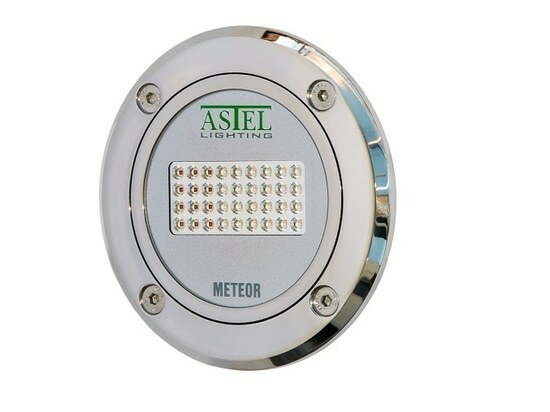 The lighting is available in white, blue, green, red or RGB(multi-color) color versions.